Oh the winds are a blowing on this fine Saturday afternoon. I'm in between coaching kiddo soccer games and realized I never got that post out this week regarding a plant I wanted to feature as summer has definitely faded to autumn on this blustery day. Rudbeckia hirta 'Autumn Colors' as been such a pleasant bloomer, transitioning from summer to fall with ease. Lovely, orange, rust and brown colors gracing the late summer garden. Sturdy stems that (so far) have held up after some windy and rainy weather this past week. Here is a nice profile on 'Autumn colors' from perennials.com. I really have a thing for Rudbeckia. I've been of search of more varieties this early fall, and with no success. They are quite drought tolerant and they will keep blooming until we get a hard frost. They self seed. So, I'm thinking I will purchase seed packets of several varieties and sow them in mini-green houses this winter. Rudbeckia are great for feeding the bee's in late summer through fall as they pump out the blooms. 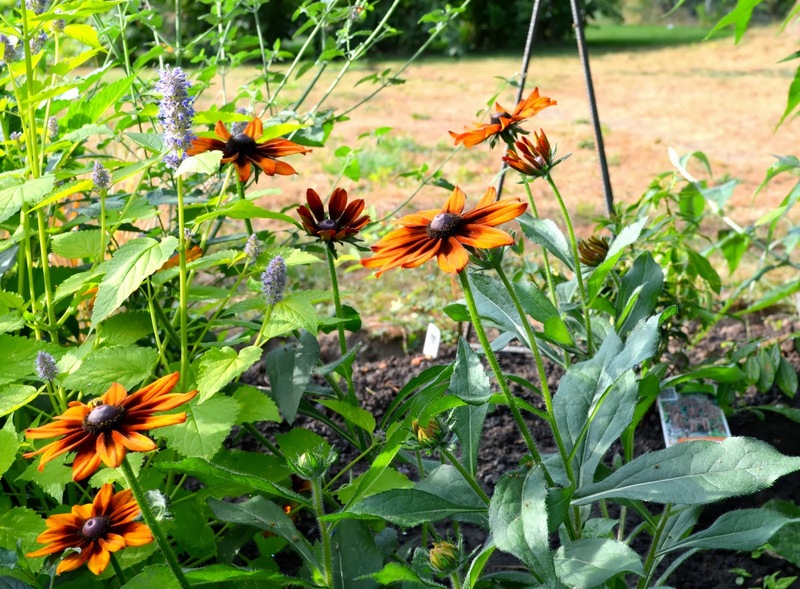 Consider varieties beyond the traditional, common named 'Black Eye'd Susan'. Varieties like Indian Summer, Cherry Brandy and Irish Eyes are quite show stoppers. 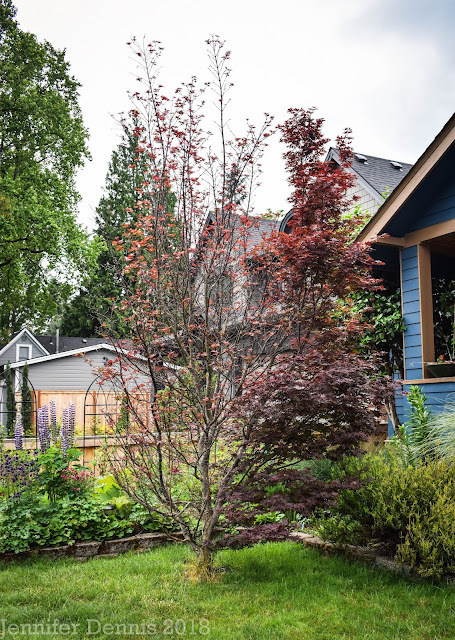 Visit blogger, Danger Garden to find out what favorite plants, garden bloggers around the world are showcasing this week. I love Rudbeckias too. Cherry Brandy is a favorite. For me it's been quite easy to grow from seed. Your Autumn Colors is gorgeous. Hi Jenni, I saw on the news that flags were at half-staff yesterday. I thought of you when I saw your brother-in-law's photo. So sad. Hugs, my friend. Anyway, lovely photo of a lovely flower. I've been growing 'Cherry Brandy' all summer. I went ahead and allowed it to go to seed. Fingers crossed. I'm very annoyed with this weather. 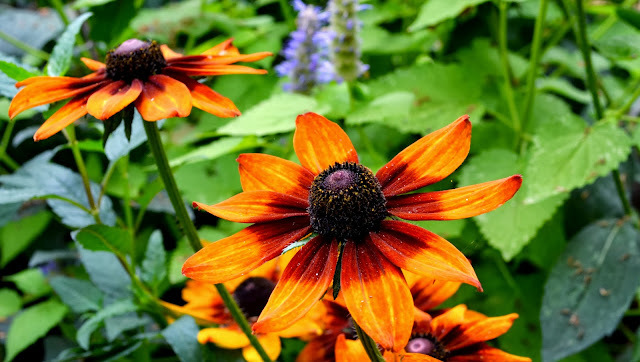 Sounds as if that Rudbeckia is a perfect plant for this time of year - providing colour when many other flowers have faded, but being strong enough to withstand Autumn gales. They are lovely plants and that colour really does say autumn. Oh wow, this one is gorgeous! That's the perfect shade of orange. Love the orange! I hope you're staying dry inside today - no soccer games!? Wish you'd be making an appearance at the GB plant exchange today, haven't seen your voice adding to the chatter on FB though so I'm assuming you're sitting this one out? A lovely Rudbeckia, I have never seen before. Beautiful orange and brown, perfect 'autumn colours' for this season. I tried Rudbeckias in my garden, but after some years they disappeared it is definitely too wet. Love that color...makes me think I might need to reconsider Rudbeckias. We missed you yesterday. I always admire rudbeckia in gardens and I haven't a one (yet). Some day I will have to add to the garden as they are fab looking plants. I love that fabulous color! I have one too, but it doesn't look half as good as yours. Fingers crossed that it survives the winter!